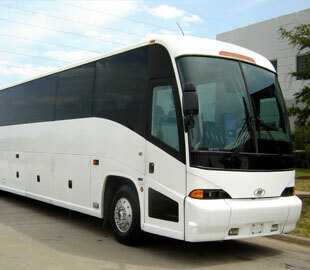 If you are in search of bus leasing and rental in Michigan, National Bus Sales has what you need. We have offered bus sales, service, and rentals in the United States for more than 20 years now, and we still love meeting new customers every day. Let us know what you're looking for, and we will do all we can to accommodate. National Bus Sales offers the best bus leasing and rental options in the country, period! Around here, you will find buses for rent from Starcraft, Federal Coach, Glaval, and many other big brands in the industry. We have buses that can hold as many as 84 passengers, so you can bring your whole group with you wherever you go. Many of our vehicles come with specialty features, like A/C, lifts, audio/video and reclining seats. We will do all we can to keep you comfortable. At National Bus Sales we offer monthly and yearly bus rental and lease contracts for Michigan, which gives you room to have your bus as long as you need it. We can set up lease purchase agreements, TRAC leases, operating leases, and more. If you decide to rent or lease a bus from National Bus Sales, we will need to you maintain a $2 million insurance policy on the vehicle. We can help you find this if you do not have it already. You will need to put a security deposit down to reserve a bus for you, but we can work out delivery after that. Find a licensed driver to control the bus for you, and you will be set! 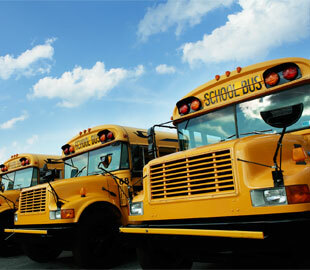 We also offer bus financing for Michigan if you would rather own the bus you get from us. Fill out a credit application on our website, and we will see what kind of deal we can work out for you. Contact National Bus Sales today @ 800.475.1439 to learn more about ways we can help you out.